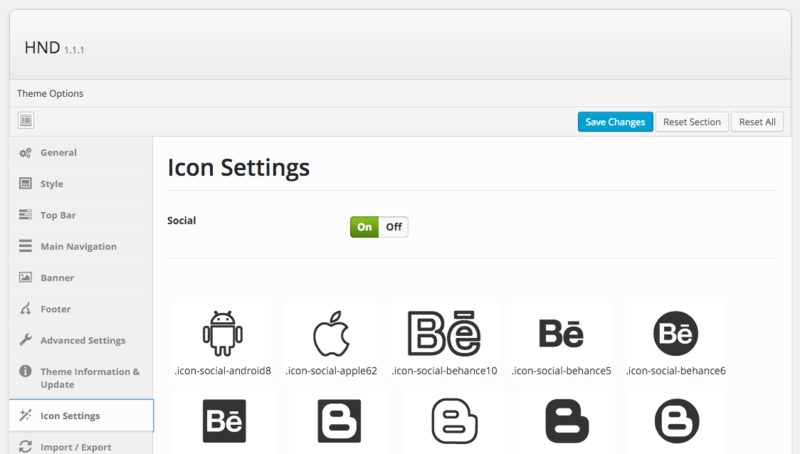 Follow the steps below to create an icon menu: Step 1 – Navigate to Appearance > Theme Options > Icon Settings Step 2 – Browse the icon and select an icon class name. 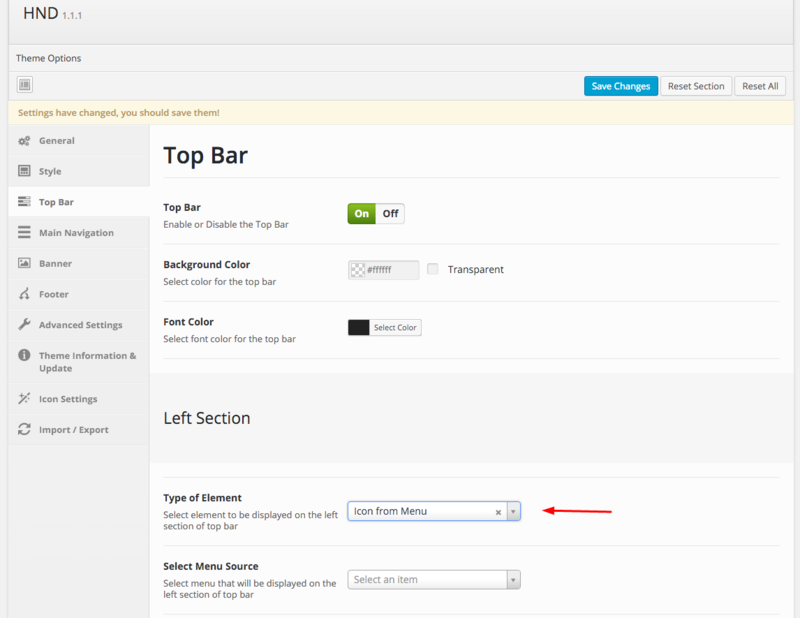 Icon class name will be displayed on bottom of icon. Copy the icon class name. 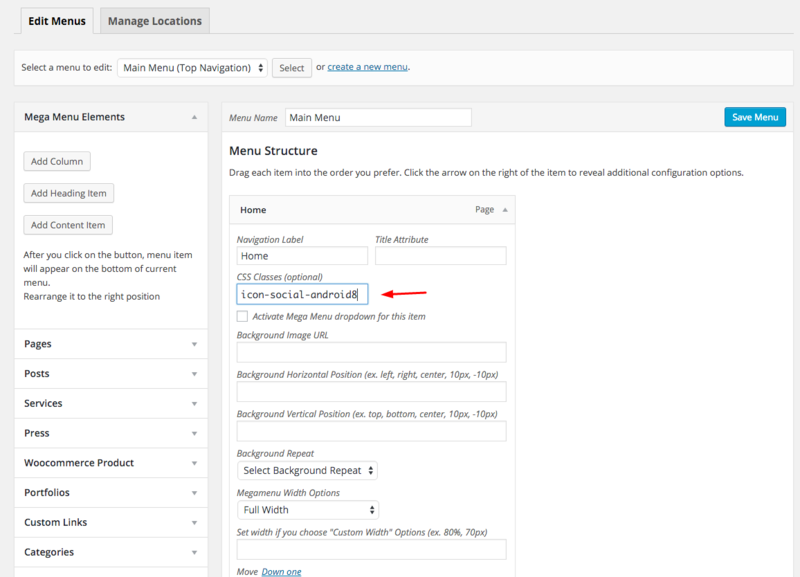 Step 3 – Navigate to Appearance > Menus then enable CSS Classes from Screen Options panel ( at the top of Menus page ) by ticking it.